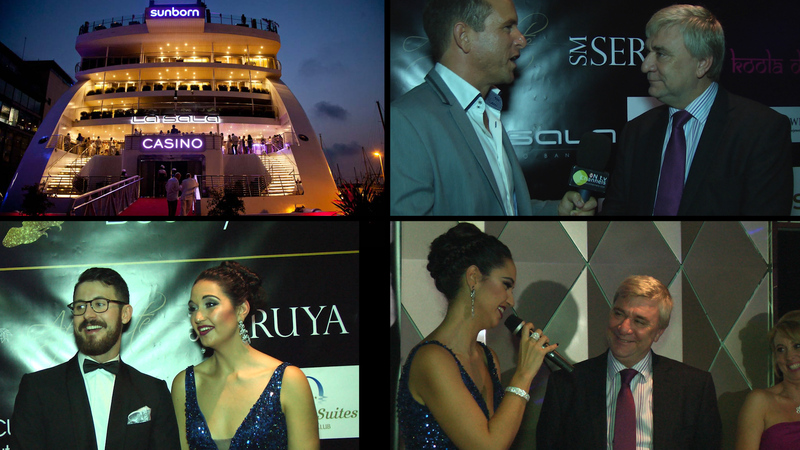 The Gibraltar International Song Festival made a triumphant return in 2007 after a prolonged period of rest. The next edition, GISF 2014, is well on course to build on the success of its predecessors, with a high level of interest coming in from many countries. Kid Creole and the Coconuts were born out of the burning embers of the brilliant and legendary Dr. Buzzard’s Original Savannah Band. August Darnell (Kid Creole) claims to have had a vision of the band in a nightmare while walking down Fifth Avenue in New York City. Born in the Bronx, Darnell is a man of multiple cultures, legends and personalities. 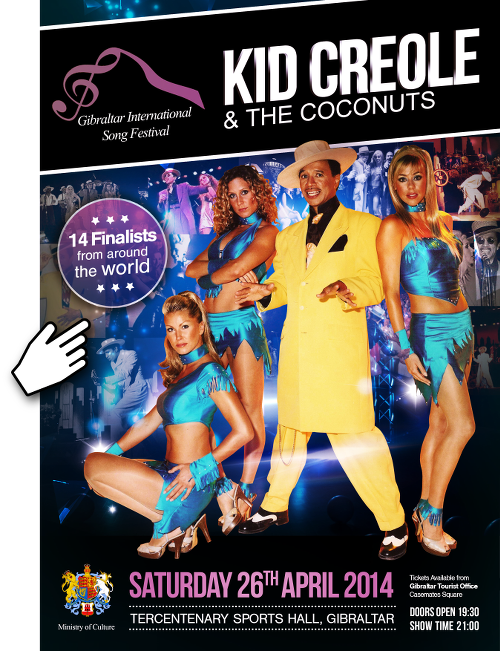 For over 27 years Kid Creole and the Coconuts have been entertaining sellout crowds around the world. Inspired by Cab Calloway and the Hollywood films of the 30’s and 40’s, the Kid fills out his colorful zoot suits with style and grace, dancing onstage with his inimitable, relentless and self-proclaimed cool. The Kid is suave, smooth, self-centered and secure. A legend in his own mind, his talent for self-adoration, though, is equally matched by his brilliance as a songwriter, social commentator, and lyricist. Occasionally shallow, occasionally deep, occasionally about his… manhood, his lyrics are often misunderstood by critics (but never by the public)! The Coconuts, three dazzling damsels of divine dimension, have little tolerance for the Kid and his egotistical, sexist antics. They do not smile and the regularly ridicule the Kid onstage – shaking their hips up-and-down, side-to-side, to taunt him. When they can take it no more they walk right off the stage to console themselves the only way they know how: by a costume change into an even sexier, skimpier outfit. This is pure fantastical, escapism FUN!